Gifts for mom. The rodeo mom, barn mom and horse show mom. A tribute to the women, moms and grandmaws who support their kids in the sport of rodeo, horse shows and other horse back riding events. Do You Have A Special Woman In Your Life? I'm talking about what myself and many others call a Rodeo Mom. She is not always necessarily your own mom, but someone who is big part who is a big part of your rodeo or western lifestyle. 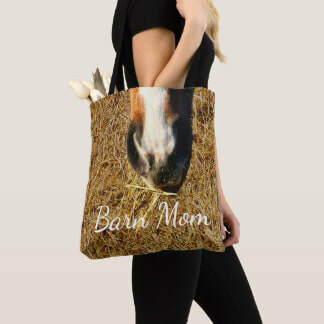 Depending on your activities you may also call them horse show mom or barn mom. I've had the best rodeo, horse show and barn moms in the world, my mother and grandmother. But that doesn't mean that there haven't been some very special women who have helped along the way. 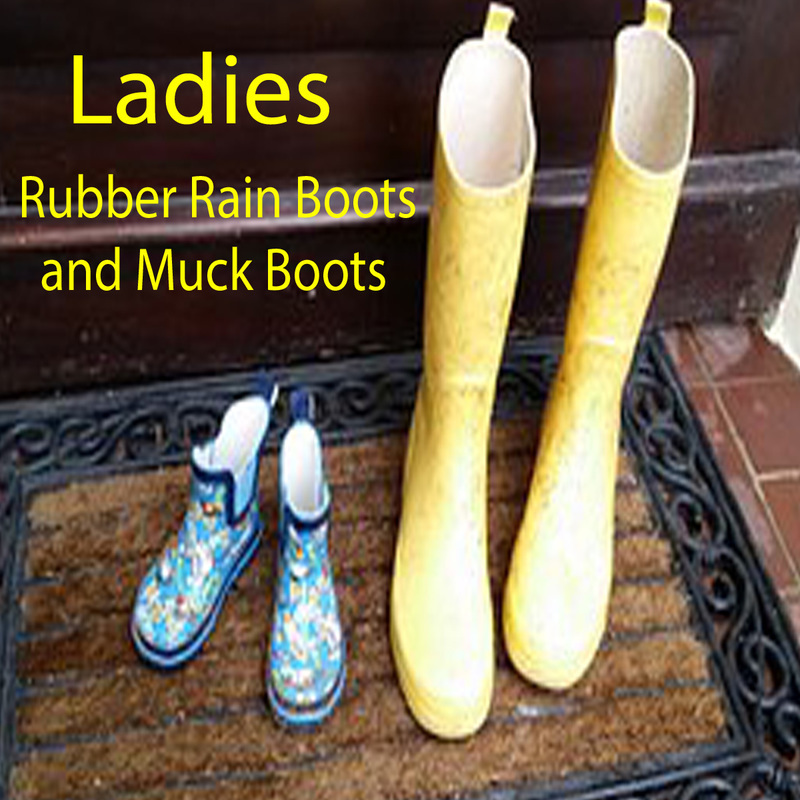 This page is about recognizing those women and offering some gift ideas to show your appreciation. 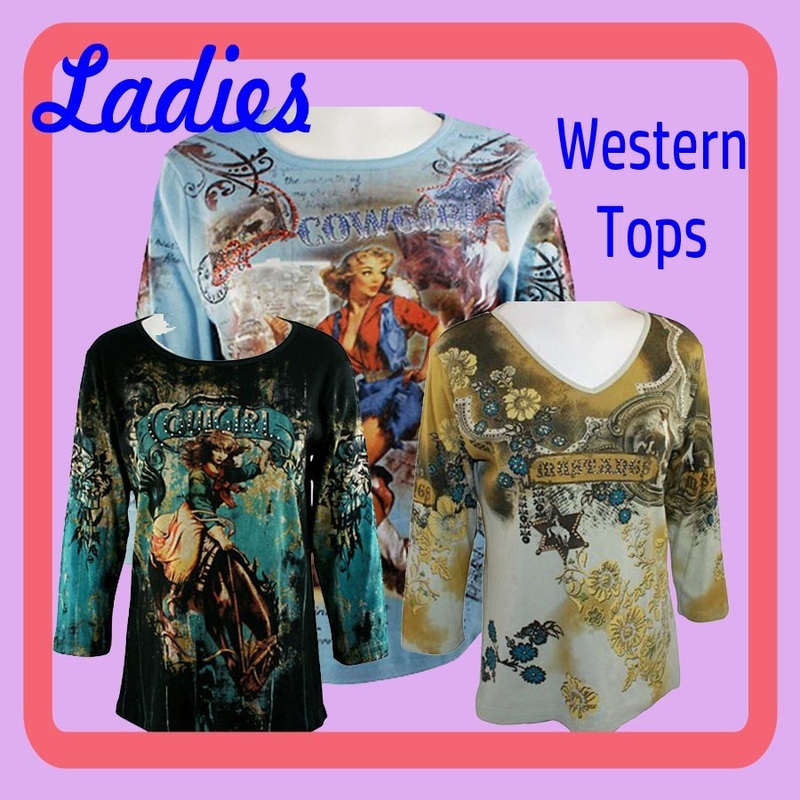 You will find t-shirts, jewelry, ornaments, hoodies, truck decals, figurines and more. Well, she's a little bit of everything as this picture says, but I would like to add more throughout this page. I would have to say that a Rodeo Mom is most of all your biggest fan and supporter. She will get up early and come home late. Remind you to have everything you need with you. Catch your horse and have him ready to go if your working late. There is a variety of t-shirts here and there are several others. 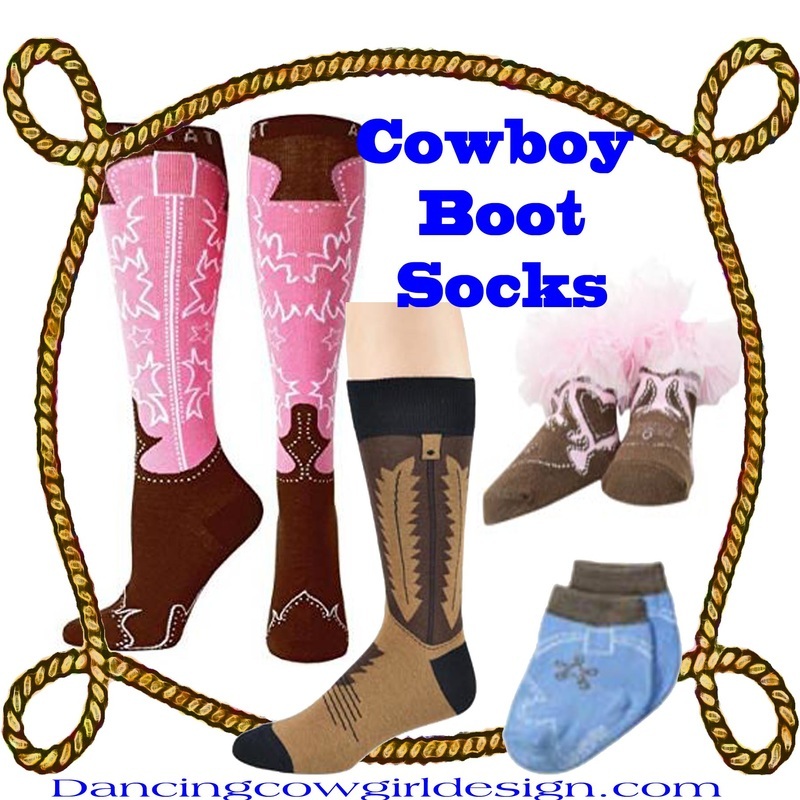 Some of these are available with different sayings (rodeo, horse, horse show etc.) and in different colors. Most of these listings will also pull up similar items. ​You know this lady... she is in the stands hollering for you at 8 in the evening or 2 in the morning, in the practice pen or in the arena. You can hear that voice over the crowd. ​This shirt is also available in blue. Available in Small through 3x Large and also in blue. 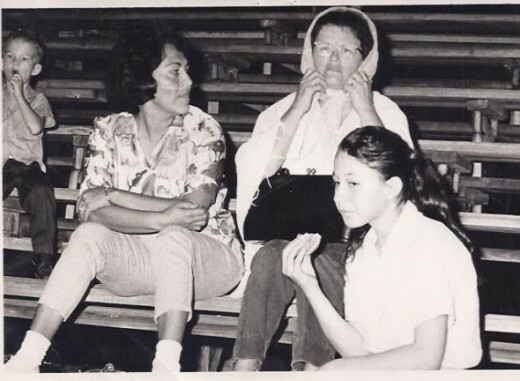 This is a picture of my grandmother, the one in the scarf. She was a wonderful rodeo mom to us and many other kids and grown ups as well. As you can see in the picture, her group seemed to be a few of the last ones in the stands. That is not unusual since rodeos can go on for hours after what the general public sees as the main performance. And I wouldn't doubt a bit that the cookie the girl next to her is eating came from my grandmothers purse. You could always count on her to have a little something stashed away for late at night when the concession stand was closed. Rodeo is a sport that we all enjoyed together and from as early as I can remember my grandmother was riding with us. 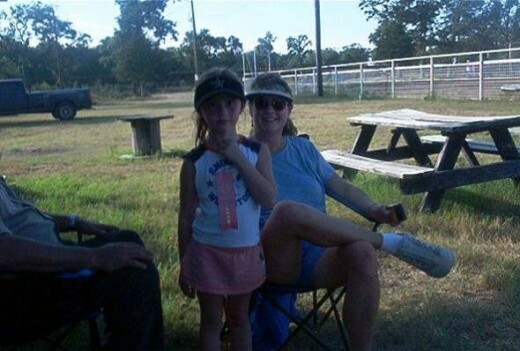 She not only supported us in rodeo and horseshows, but rode along with us on the trail ride too. She spent a lifetime riding since she grew up when a horse was her only was to get to school. What Could I Give Her? I found this mother dauhter on horseback figurine that so closely resembles the picture of us. 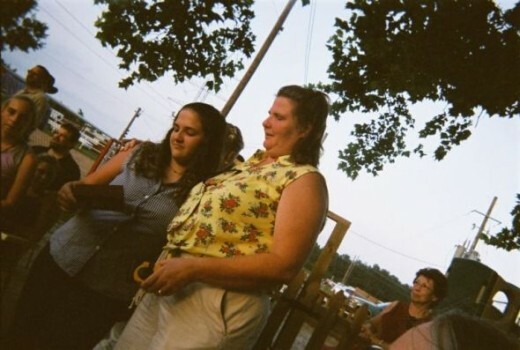 This is my mother with my niece when she was being presented with a saddle she had won. Momma, unlike my grandmother, could drive. She spent many hours on the road taking us to rodeos way back before the comforts of 4 door trucks. We would pile in that single cab truck and head out. I remember my mom and my grandmother working hard in the concession stands to help pay our entry fees and buy us a hamburger. She has still been active lately with the riding club where my nieces ride sometimes. I came across some other jewelry that any mom would love. This particular line has a large assortment of pieces including necklaces, bracelets, earrings and charms. Here are a couple of examples. If you want to see many other choices go here. 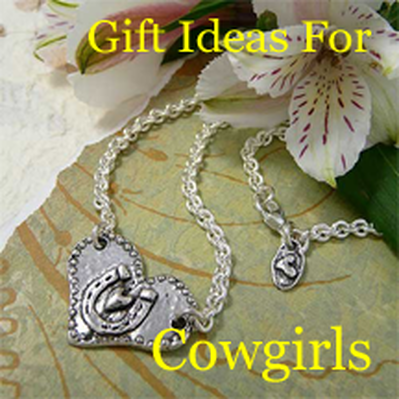 Rodeo moms of team ropers, steer wrestlers or even bull riders would enjoy these jewelry pieces with the longhorn head surrounded with a rope boarder. 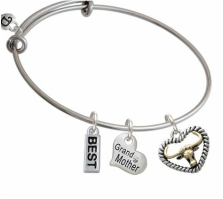 Don't forget a gift for grandmaw. 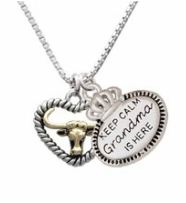 This necklace is available with different charms such as mom, grandmaw and sister. 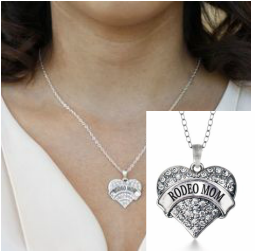 Inspired Silver offers several mom necklaces. You will find rodeo mom, barn mom, horse show mom and others. These have a silver plated 18 inch chain and pendant. It has a lobster claw closure. The heart charm is 1 inch x 1 inch. It comes packaged in a black velvet pouch and they are made in America. A good Christmas gift idea for mom would be on of these ornaments. What Else Does A Rodeo Mom Do? She Helps Out At The Barn There is always something to do at the barn. Tend to a sick horse or roping calf. Haul some feed and hay. 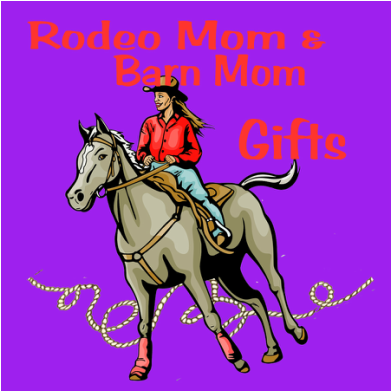 These rhinestone transfers can be applied to most any apparel, a purse or that big bag of rodeo mom stuff that she carries. I think it would be nice attached to a fabric covered notebook. A lot of women carry a notebook of some sort to write down times during the events to keep up with how their kids are doing. She went on to be a great rodeo, horse show and barn mom, always being there for my nieces and other kids that needed a hand. She worked hard in the concession stand and learned to pull a horse trailer so they didn't have to sit out on nights when dad was working. 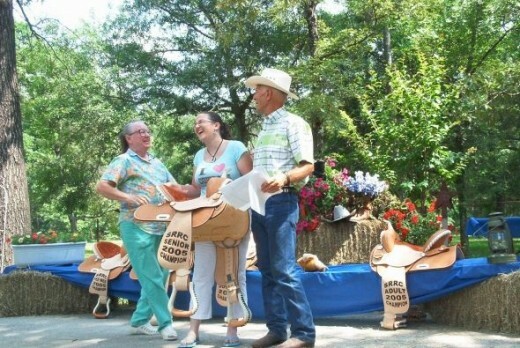 They tend to participate in more horseshows and playdays, but still some rodeos. These license plate covers can also be customized with other text. My family is the kind where ex's and steps jump right in when it comes to helping the kids with their horse riding activities. My ex-sister-n-law and the current sister in law are so good about helping each others kids and my grand kids also. These are available in black and blue. 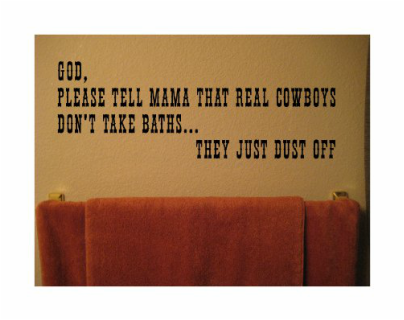 What About This Rodeo Mom? Well, I could use one of these decals. From the practice pen to the rodeo arena, my cowboys and cowgirls always seem to bring home there share of the dirt. So there you have it. What is a Rodeo Mom? I hope you have a better idea after reading this. If you are one, you might be thinking that I have left many things out. I know I have because it would be way to long to talk about everything she does. 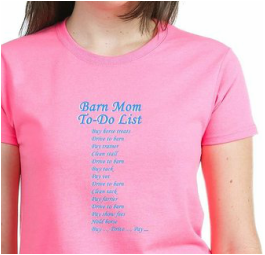 Make you own list for a week or so of everything your rodeo mom and others help you out with, read it over good, then give her the biggest thank you ever. She deserves it. 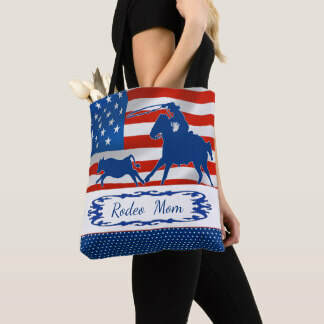 I have recently added some western themed tote bags to my Rodeo Days Store. I designed these with those moms in mind. These bags have a custom text field that you can change the name or phrase to what you prefer. 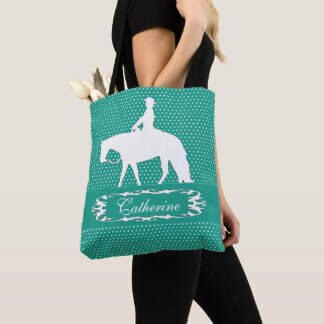 There are many other western themed bags with all sorts of vintage western prints, horses etc. Visit other pages on my site to find more gifts for mom. Here are a few suggestions or return the the home page to see them all.